Broccoli! No, I’m not joking. If your little vegling is insisting on a vegetarian or vegan diet and they don’t like broccoli, they’re in for a major reality check. Considered one of the world’s healthiest vegetables, it is jam packed with vitamins, minerals, dietary fibre and phytonutrients. Anyone on a vegetarian or vegan diet cannot ignore these miniature green trees. 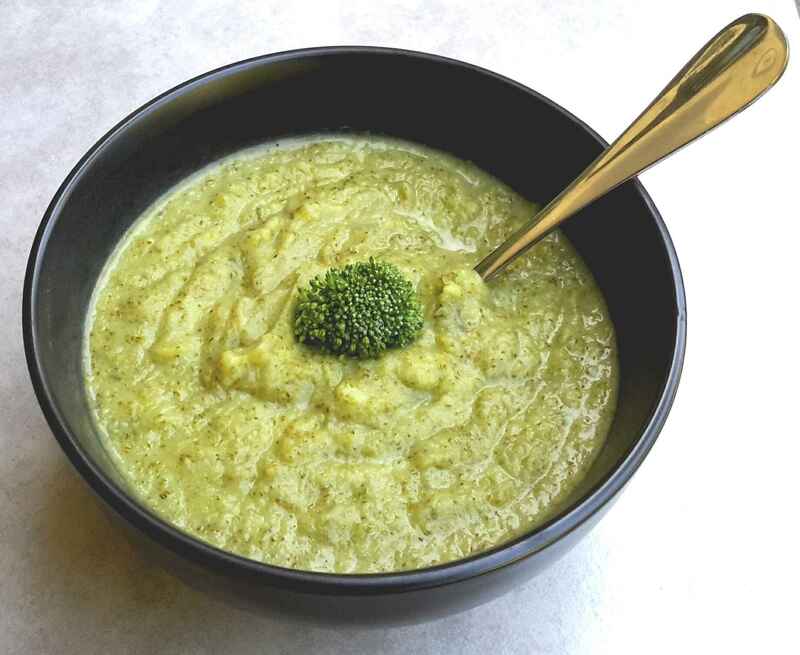 This soup is quick and easy to make and doesn’t even taste that much like broccoli. Add onion and garlic. Cook, stirring for 3 minutes or until soft. Add broccoli, potato, stock and cover. Bring to the boil. Reduce heat and simmer for 10 to 15 minutes or until potato is tender. Remove from heat. Process until smooth. Cook for a further 5 minutes or until heated through.